The potential sensitivity or identifiability of your data- does it contain identifiable information about people, is it medical data, is it politically sensitive, does it contain information that could have adverse impacts if made more widely available? Does your data need to be stored in Australia? Many grants and funding requirements ask for this. You might also want to look at the backup options offered by whatever storage solution you choose. The recommended location for storing electronic research data are the La Trobe University research drives (P: or R: Drive), both during your research and post-project. The benefits of using networked drives are that they are hosted on-site, highly secure, and automatically backed up daily. They can be accessed remotely via the VPN application. You can request access to these drives via ASK ICT. Online Research Notebook (LabArchives) is also a suitable place to store research data (including sensitive data). Submit the form and somebody from ICT will advise you on the best storage space options available. The type of storage space allocated to you will depend on your specific requirements and the nature of your project. Note: Only La Trobe University staff members can request storage space. If you are a graduate researcher, your supervisor can request storage space for you. They then become the owner and manager of this space and can share it with you. You can contact ICT (ext 1500) to discuss your requirements prior to submitting your request. 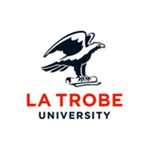 It is recommended that you use the CloudStor FileSender tool to share your data with those who can't access La Trobe University's internal systems such as the University research drives (P: or D: drive). CloudStor FileSender is highly secure and allows for client-side file encryption option and a set expiry date. AARNet Pty Limited "does not represent or warrant and to the extent permitted by law, expressly excludes any implied representations or warranties, that the Service is suitable for the storage of sensitive or confidential data, including but not limited to, medical research data, medical or Health Information, Sensitive Information or information related to security or defence purposes. Any storage of such material or data is entirely at your risk." CloudStor is therefore only appropriate for non-sensitive data. Figshare is only appropriate for anonymous data. Please note that even though your data doesn't include the names of participants, it's not necessarily anonymous since individuals may be identifiable to friends and family members by combining key demographic data (gender, marital status, ethnicity, etc.) 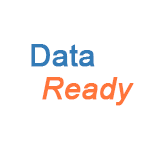 with other data such as personal responses from interviews or surveys. The use of data combinations to identify an individual is especially enhanced if the research participants are drawn from a small, highly defined population. For more information about the various data storage options (including technical specifications), see also the La Trobe University Office of Research Infrastructure Data Storage page. The group drives are meant to be used for teaching or administrative purposes but not for pure or applied research. The G: drives and the research drives (P: or R: Drives) are hosted on separate storage systems to further demarcate between general shares and those specific to research purposes. OneDrive is not recommended for data storage either during your research and post-project due to the risk of data loss, security issues and lack of backup options. they are often not hosted in Australia. Due to the risk of data loss, security issues and lack of backup options, a personal laptop or computer should only be used as a convenient work space, but not for primary storage of your research data. Store your data on the hard disk drive of your laptop. Also store copies of your data on external media. Store one copy on an external hard-disk drive and another on a memory stick. Copying to different external media decreases the risk of losing data due to data corruption. If you are able, keep the different copies of your data in separate locations. This way, if your laptop is stolen (for example) you will not lose your backups along with it. Transfer your data to your La Trobe University network drive at the earliest opportunity. Due to the risk of being lost or accidentally falling into the hands of external parties, portable hard drives should only ever be used for data back-up and should remain in a locked room if possible.